Ding dong! The Combell ice cream car is riding across the country! Last monday, the Combell ice cream car has hit the road for the first time this year. We visited various companies, among which Websaus, OrbitOne and Engagor. Until next month, we will bring a touch of freshness to many companies in Belgium and the Netherlands. This year, we will once again be present at various events, like CreUni, Conversion Day and the FeWeb SummerEvent. Have you not requested a visit from our legendary ice cream car yet? Post your summer feeling with #combellisland and perhaps we will come and see you between now and 26 June. But that’s not all! 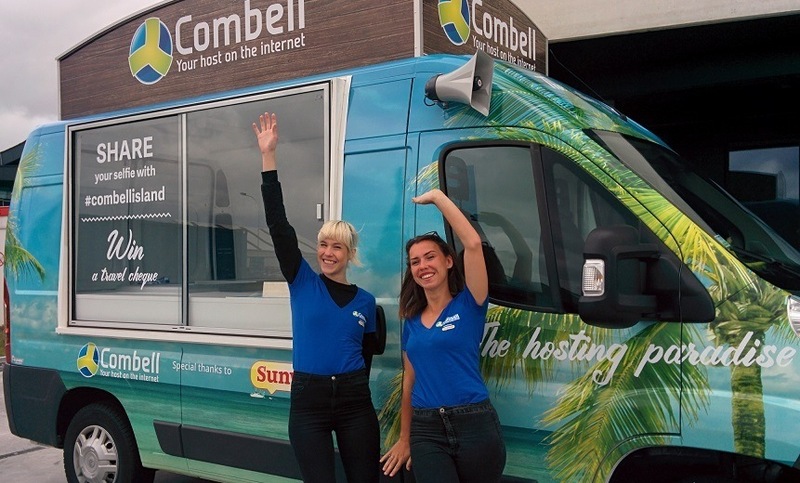 Take a selfie in front of our ice cream car, post it with #combellisland and enter for a chance to win a travel gift certificate thanks to our partnership with Sunweb! Find out all the details about our ice cream car on Combell Island. Or check out the first pictures on our Facebook page. Magento 2 is coming soon… What should you know about it?